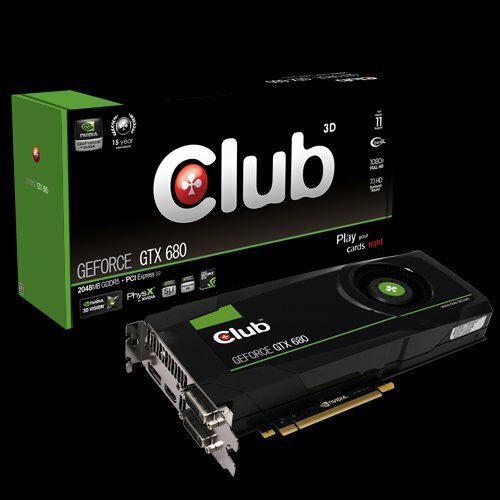 Club3D introduces its GeForce GTX 680, a reference model with 1006MHz base clock and 2GB GDDR5 clocked at 6000MHz. The Club 3D GeForce GTX 680 gives you more than just state-of-the-art features and technology. It delivers truly game-changing performance that taps into the powerful new GeForce architecture to redefine faster, smoother and smarter, lifelike gaming.